Hans Florine getting solid fist jams on Beggar's Buttress (5.11) in Yosemite. 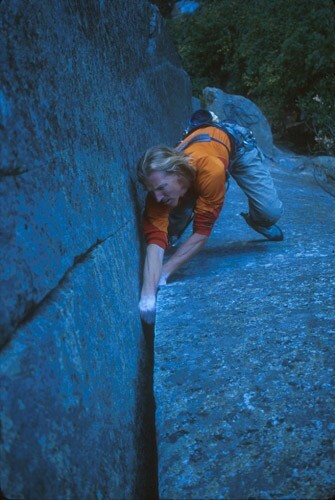 This is Han's favorite Yosemite climb and is included in the photographers book "Fifty Favorite Climbs." But isn't The Nose Han's favorite climb?